If you find yourself in “the Sunshine State” this September, be sure to join Dr. Joseph Prendergast and other Synergy leaders for a valuable series of meetings, including a special Gold Camp. Featuring Team Elite Bill Styles and Team Leaders Richard and Joy Matwyshen, these meetings will help you make the most of the Synergy Advantage. The exclusive trainings given at Gold Camp will teach Team Members how to leverage the Mega-Match Compensation Plan at a whole new level. Trainings will also be given on maximizing bonuses on the Synergy Elite Track. So bring your friends, family and guests to the Friday meetings, and be sure to register for Saturday’s Gold Camp by clicking here. Location: The Colony Cottage of the Villages. This first meeting is for The Village residents only– Team Members, friends and family. The cost of Gold Camp is $25 per attendee, covering the cost of training materials and a provided lunch. To register for the Florida Gold Camp, click here. Dr. Joe is a distinguished certified physician whose advanced research and experience has contributed significantly to Synergy as well as to the medical and scientific fields as a whole. His research regarding l-arginine contributed to the development of Synergy’s signature product, ProArgi-9+. 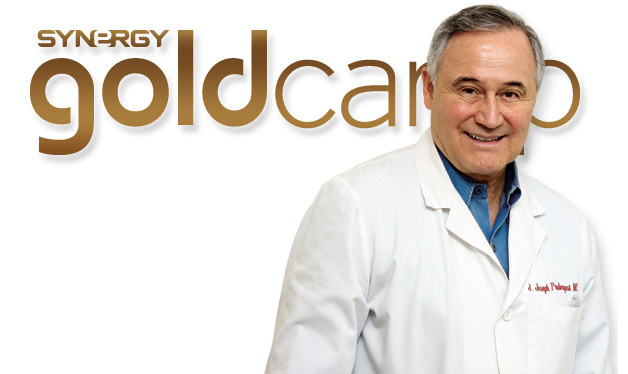 He has helped a variety of patients over an extensive career dedicated to true health and wellness.